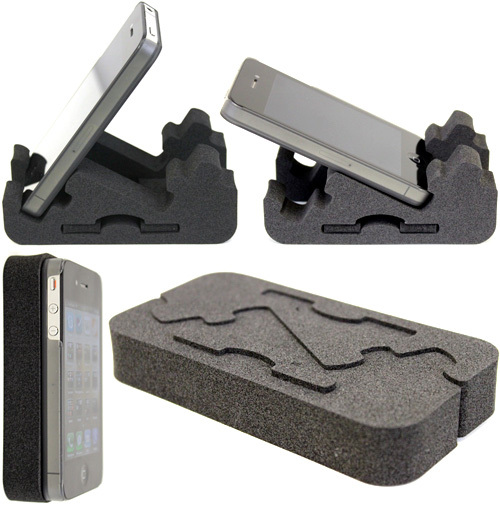 ZIGSTAND Foam Smartphone Stand | OhGizmo! As far as smartphone stands go the ZIGSTAND doesn’t stand out for what it does, but more for what it is. It’s able to hold your smartphone at a 60-degree angle allowing you to sit it on your desk while still easily being able to see and use the touchscreen. But spin it around and the ZIGSTAND will instead hold it at a 30-degree angle allowing you to plug in a charging cable.